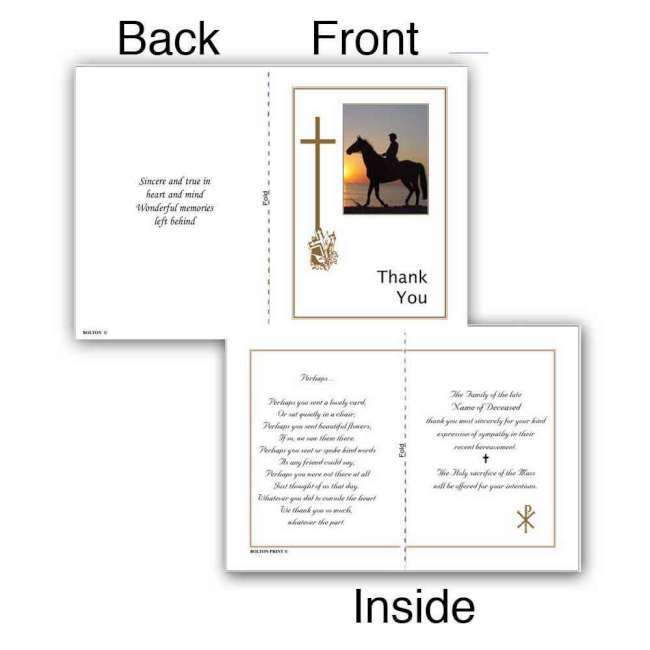 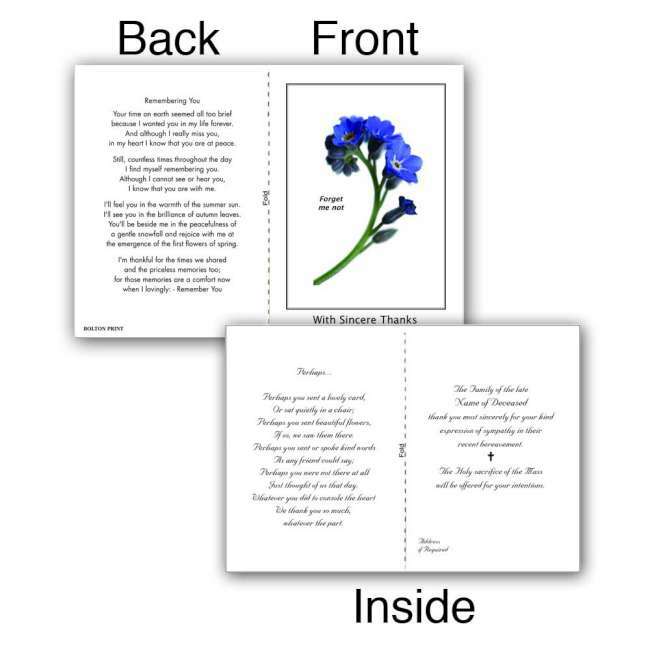 Folded acknowledgement/Thanks you cards (Unfolded Size H 107mm x W 154mm)(Folded size H 107mm x W 77mm) are printed on ultra smooth white heavy card and are printed on ultra smooth heavy card and are ideal for thanking people who have sent mass cards, wreaths etc to the family or relatives of the deceased person. 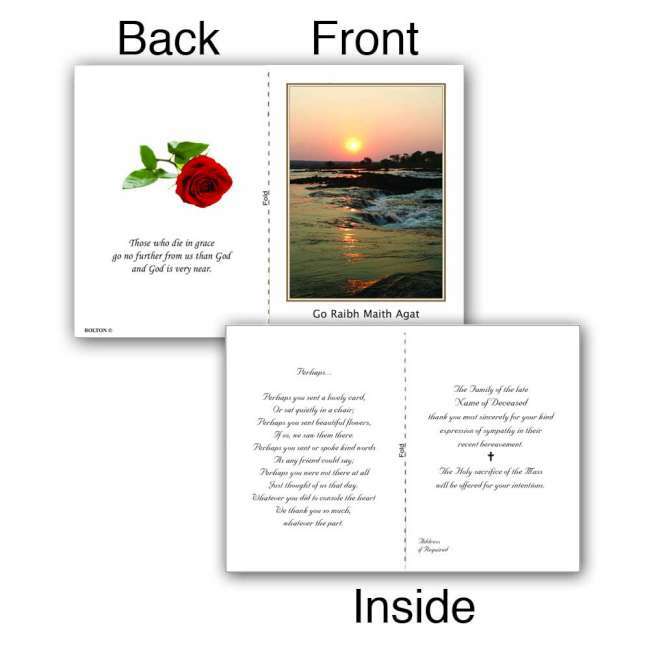 They are not covered in plastic to enable a short message to be written on them. 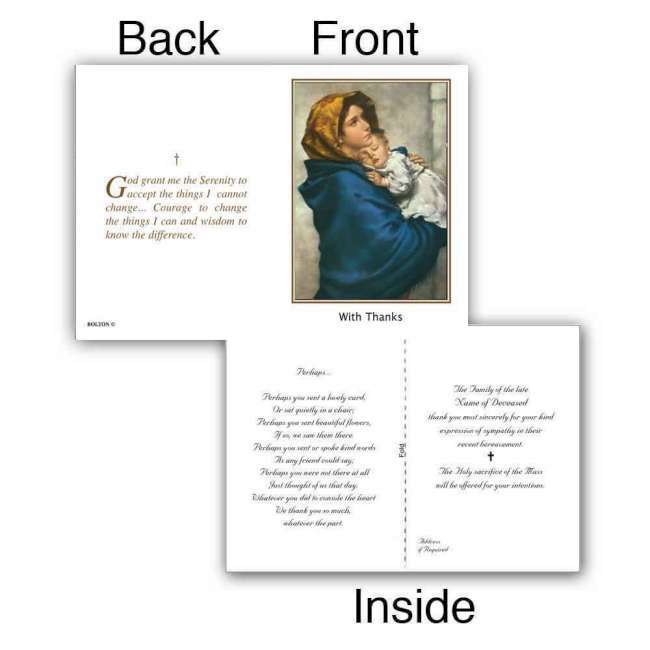 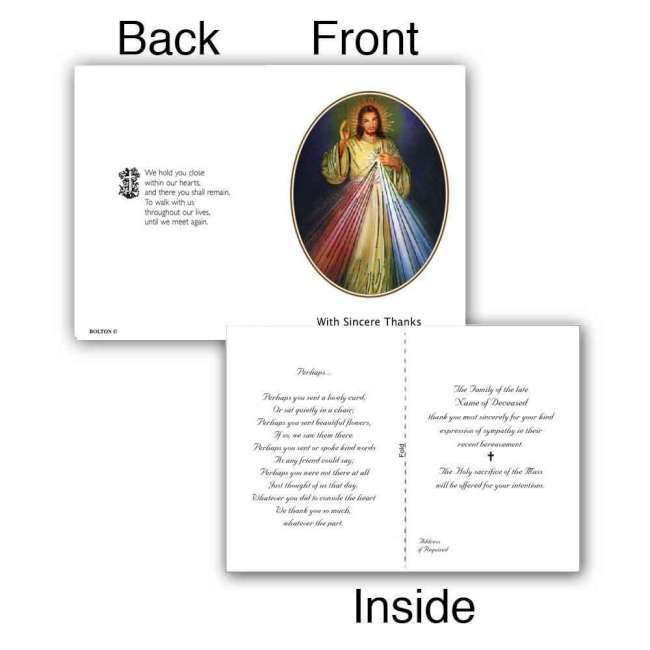 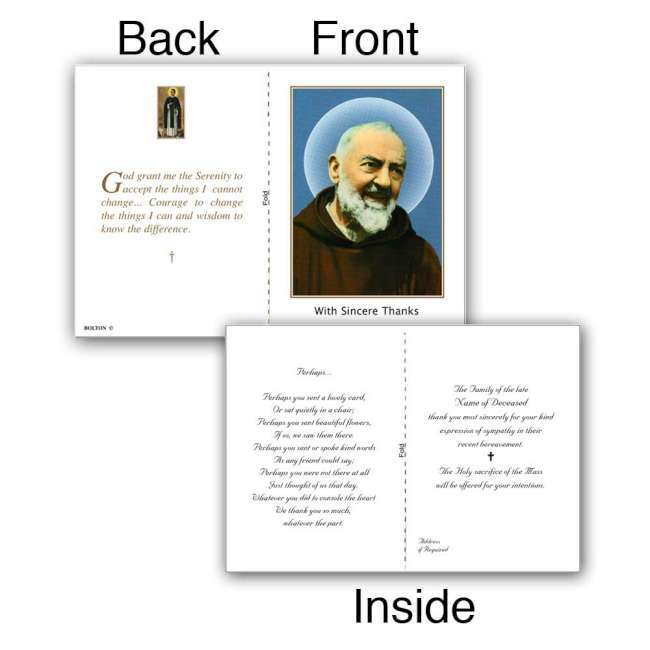 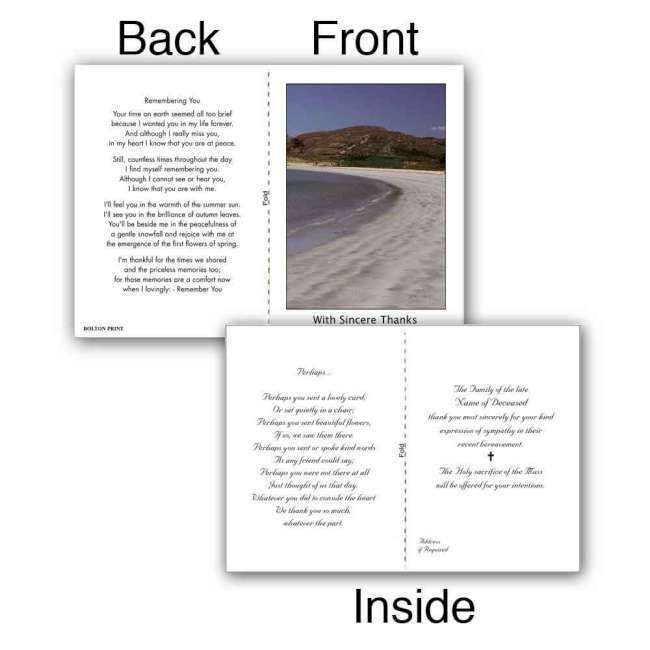 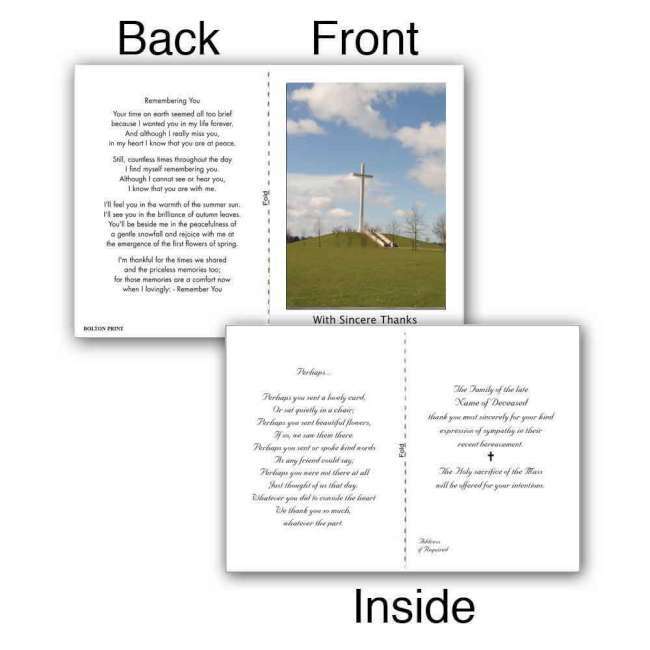 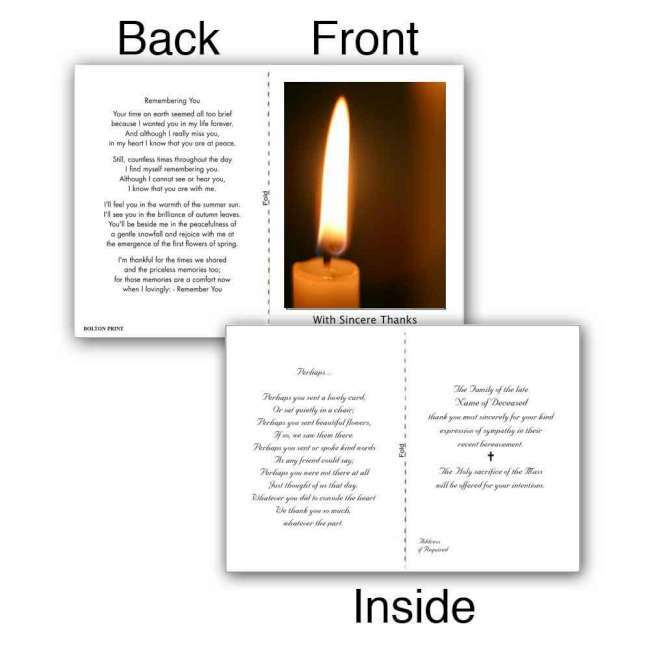 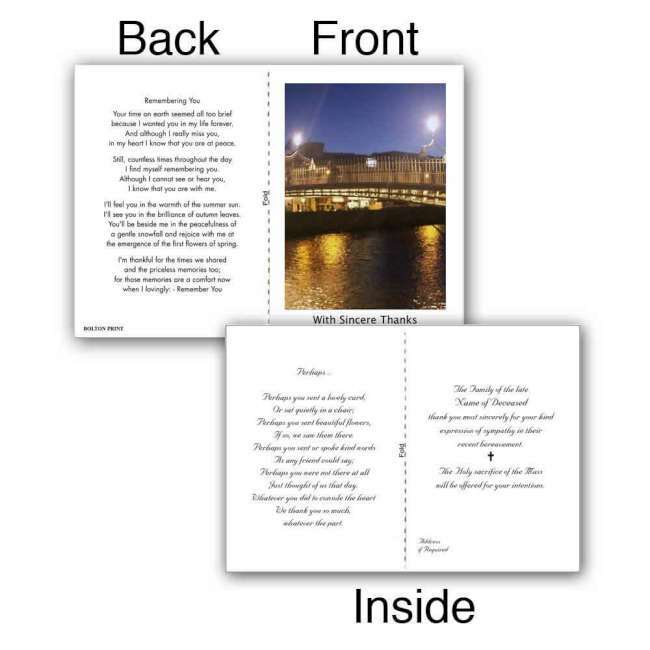 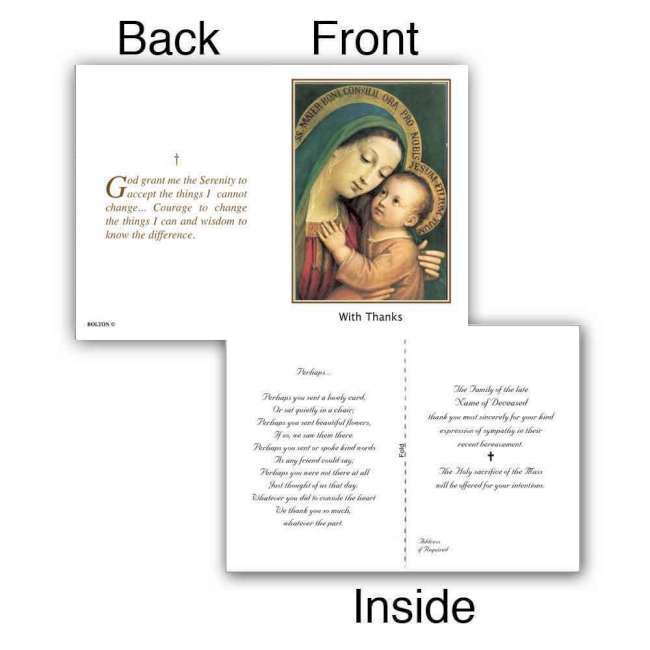 Customers can select from any of the religious or photographic images and verses in our galleries or they can simply supply us with their own images and verses). 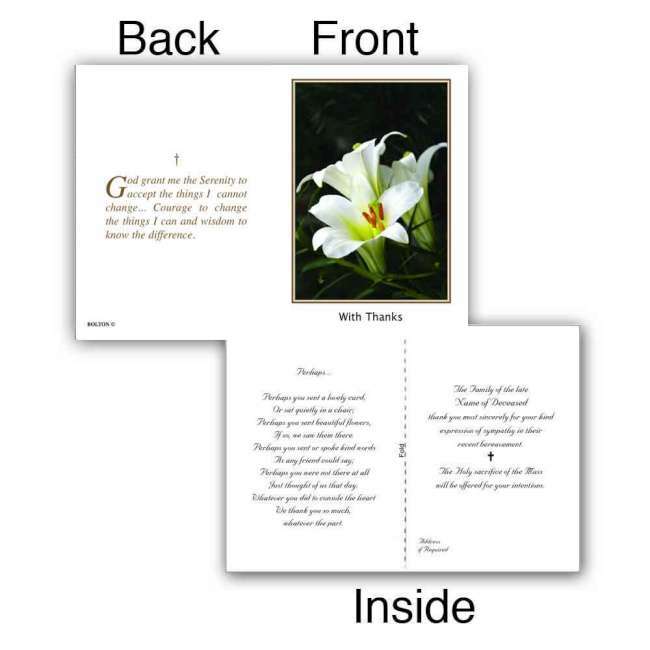 Cards are accompanied by matching white envelopes.